Creative thinkers tend to be balls of energy and productivity machines. Think of Richard Branson and Elon Musk. Another is Yoshiro Nakamatso, a Japanese inventor who claims to have his best ideas while underwater suffering from oxygen starvation. He invented the floppy disk in 1952, apparently seconds away from death by drowning. Edward de Bono is a pioneer in creative thinking. His books Lateral Thinking and Six Thinking Hats are hugely influential and essential reading for practical thinking techniques. Of all the books I have read about creativity and thinking skills, if I had to choose one, Lateral Thinking would be it. The traditional type of thinking is vertical. Sequential and logic-based, vertical thinking moves through a set process and stops when the best solution for a problem is found. Traditional thinking is done this way — we are taught to think vertically. Lateral thinking is about removing all preconception and previously held beliefs and being prepared to work with ideas that at first appear wrong, jumping randomly between thoughts. Taking such a seemingly chaotic approach to thinking enables you to set aside any ingrained beliefs that might influence your thinking subconsciously and, therefore, influence your solutions. Solutions would then be real solutions and not just the same old ideas regurgitated. Lateral thinking is about breakthroughs and innovation. Ideas are conceived in a way that simply isn’t possible with vertical thinking. Vertical and lateral thinking are essential for different tasks and work hand in hand. 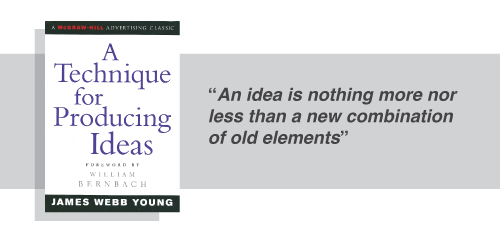 Whereas radical creative ideas can be conceived with lateral thinking, vertical thinking is then required to process those ideas and implement them in functional ways. Lateral thinking will help you to conceive new tools, apps and programs, while vertical thinking will enable you to write the code that makes them work. Use an analogy.. To avoid getting trapped by the obvious when looking for creative ideas and solutions, use an analogy to shift your thinking. Imagine searching for a solution to find car keys. Consider different scenarios: being lost in fog, a vision-impaired person finding their way around, a stranger in a foreign location. You will see the problem in different ways and approach it with fresh solutions. Reverse information and reject the obvious.. Break the natural pattern of order. For example, the aim of online marketing is to direct traffic to websites. Reverse and consider: How do you take the website to the traffic? Or reject the obvious, which will force the brain to consider alternatives. For example, when considering how to increase the online visibility of a website, imagine that search engines didn’t exist. Oppose elements.. Another pattern-breaker is to take two random and opposing items and connect them (a classic technique for humor); for example, a fish riding a bicycle, a ballet-dancing hippo, a toad singing opera. Brainstorm and create a mind map of keywords related to your theme, which could throw up a lot of possible connections that suggest creative ideas. When approaching any project, always ask what, why, where, how, who or when. This is a great technique to get past all of the musts, shoulds, have tos, whats, hows and I don’t knows. It’s ideal for breaking through mental blocks when you’re fixing bugs. Focus on a part of the previous explanation. Refuse to be comforted by usual explanations and generate discomfort (this is where new ideas will break through). The teacher can at any point reverse the roles and say, “I don’t know, why do you think?” The teacher would then be asking the questions and the student answering. Keep asking “Why?” to push past your preconceptions and assumptions. Innovative ideas will start to break through in the flow of discussion. 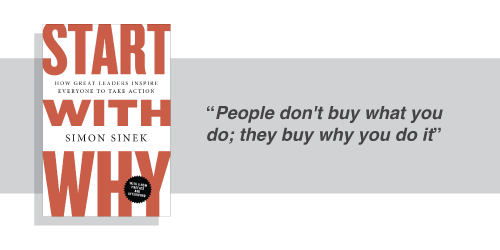 “Why?” is emotive and taps into passion, which is why it is so powerful. Nothing moves mountains more than passion. “Me too” and “vanilla” brands are easily replicated and easily forgotten, but a brand founded on passion will connect with people on a primal and emotional level. If you can connect with users on an emotional level through your design, then you’ve got a winner. 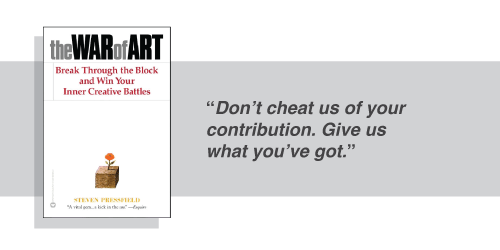 Sinek’s book is a must read, although the message is repeated a few too many times (particularly the Apple references) and could have been distilled into a punchier book. In fact, if you watch his TED talk, you will understand the concept and be able to apply it to your own projects. 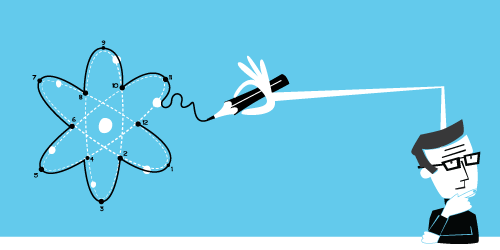 Finding your “Why?” isn’t only for improving design and productivity. It can transform your whole life and purpose. Keep asking yourself “Why?” until you break through all of the musts, shoulds, have tos, whats, hows and I don’t knows. Everything you need to understand how to become an idea machine is contained within these 48 pages. First, fill your machine with quality ingredients in order to get quality ideas out. Read widely and as often as you can. Make frequent visits to places that stimulate your interest and curiosity: museums, galleries, even junk shops and markets. Absorbing new information will get your synapses firing and stimulate your thinking. Collect your data; Young recommends using white 3 × 5-inch index cards (pre-Internet). Because I am a tactile person, I wouldn’t dismiss the advice; evidence suggests that handwriting information helps you to learn and retain information more quickly. My preferred method is to create an ideas wall, as popularized in detective films. Online tools such as Mural.ly (shown below), Evernote and, for more basic visual data, Pinterest can help you to translate an ideas wall to the web. The second stage is to work over the material in your mind. If you are using old-school index cards, then refer to them often. 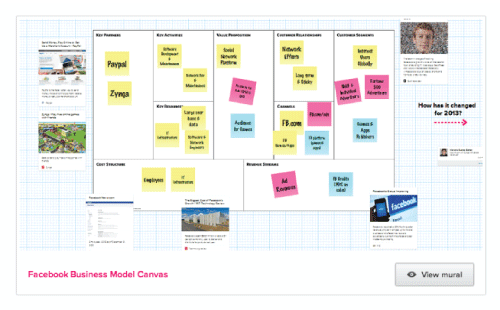 If you are using an ideas wall, simply stand back and look at the wall, which is the most efficient technique at this stage. By visually scanning a lot of pieces of information, your brain will start to make connections between seemingly random elements — and this is where all ideas are born. Make notes of any initial thoughts, sketches and questions that come to mind. These will be the seeds from which more ideas sprout later. we are distracted from routine. The reason why we have great ideas while showering, exercising, cooking or listening to music is because of the optimal environments outlined above. Any mundane activity in which we are relaxed, focused and not thinking is the sweet spot for ideas. I usually have great creative ideas for projects just as I am about to fall asleep — if I don’t make an effort to turn on the light and make a note, the idea will be gone when I wake up. Once your idea has incubated in private, you will start to have flashes of other ideas, seemingly from out of nowhere. This is the eureka moment when a great idea is brought to light. Once your idea is born, it will be fragile, susceptible to criticism and in danger of being squashed or dismissed. The final stage is to bring the idea you’ve germinated out into the light for scrutiny, feedback and readjustment. Accepting honest criticism and feedback takes courage and an absence of ego. Only ideas that have been given feedback can be realized. An idea that has not been shared or tested is merely a thought and is no more useful than a thought of what you will have for dinner. Put yourself out there, and put your idea into action. Resistance is that devious thing that prevents you from being creative and following your purpose. Its root is fear. Nothing is more paralyzing to a creative person than fear of failure or negative criticism. Recognizing resistance is half the battle; the other half is just making a start, however small, and getting something down on the page. Even 10 minutes of work can break resistance and get you into the flow. Think about it right now: What is it you want to do but fills you with so much fear? Use resistance and turn it upon itself. Conquer fear by paying more attention to the details and working harder. Joshua Davis reveals, “In fear is where my greatest thinking happens.” The Dalai Lama says, “The enemy is a very good teacher.” Fear can inspire us to create our greatest works and push us to excel. Once we recognize and master resistance, it can actually be positive. I use a simple yet effective technique whenever I need to motivate myself to do something. I negotiate with myself and promise that if I fully give myself to a task for 10 minutes and it still isn’t happening, then I give myself permission to stop. It works. Every time. It’s that simple. When you are facing a project and keep putting it off because it feels like too much hard work, give it your all for 10 minutes. If it isn’t working after that, stop and do something else. But you will find that once you have started, there is no stopping you. So much more than a book, this manual will improve your thinking skills and your life. It will open your mind not just to think creatively, but also to reassess your opinions, values and entire life! Leonardo da Vinci was both an artist and an inventor. Many of his ideas were far ahead of their time in the engineering required, such as the helicopter, flying machines, diving suits and parachutes. The secret to da Vinci’s abundant creativity is the seven principles that he lived by and to which he attributed his great creative output. The most important of these, I believe, is “curiosità,” which means to be insatiably curious and forever asking questions. By reading this article, you are already demonstrating curiosity, and the inspiring people you singled out at the beginning of this article are undoubtedly curious, knowledge-hungry people, too. Thinking skills need to be trained (although not quite like problem-solving exercises). The more you use them, the better they become. 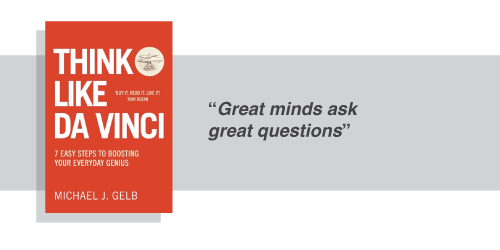 The following two exercises from Think Like Da Vinci will expand your mental capacity and indirectly affect your work. The apparent simplicity of these questions belies the depth of contemplation they demand and the power they can have on your creative-thinking skills and your life. Set aside time to focus without distraction, and write a list of 100 questions that are important to you. The point is to complete the list in one sitting and not to think too hard about any one question. You want the questions to flow. Don’t worry about repeating questions or themes because once you review the list, patterns will emerge, highlighting what matters to you in life. Once you have completed the list, highlight 10 questions that hold the most significance for you. Now, consider this list of 10 in great depth because they could open up new areas in your life. “Who are my most inspiring role models”? Take time to consider each question, and write your answer for each one. They don’t have to be set in stone. Review them periodically (for example, on your birthday) to review your life and maintain direction and focus. These questions might seem far removed from the practical-thinking skills outlined above, but the process will benefit your overall problem-solving abilities and help to balance your life. The following are two of my favorite games to sharpen my thinking skills and creativity. They seem ingrained in creative culture, and I am unable to attribute them to anyone, but they are unbeatable to get creative energy flowing before a brainstorming session. This game can be adapted to pretty much any inanimate object (such as a paperclip, cellophane tape, a wooden spoon, a car tire). The basic concept is to think of as many uses for a brick as possible — the more creative the better: for example, table legs, car jack, steps to reach a high window, a modernist sculpture, a balloon weight, a vase (putting flowers in the holes), dumbbells (I used to weight-lift breeze blocks with a brush handle in Portugal), a jungle gym for ants, you get the idea. One of my favorite games is drawing a series of circles (or squares or triangles) on a page and then tracing as many variations of the circle as possible: a unicycle, a weather balloon, a monocle, a round window in a castle, a moon, an overgrown blueberry, a Mexican riding a bicycle, a parasol on the beach — the game is endless. I once played this game on a train with two styrofoam cup lids and a lollipop stick; as geeky as it sounds, it was one of the best two and a half hours ever spent on a train, with plenty of amusement. You had to be there. Most of the time, we make problems too complicated for a solution. Ironically, it’s a common problem. When you’re looking for a creative solution, the most important part is to define the problem first. Taking time to outline the problem will help you to understand what you need and how to solve it. Often, what you thought was the problem is actually covering up the real problem.